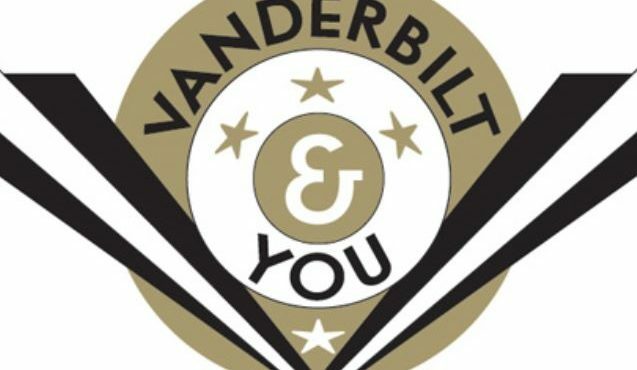 Eligible students are nominated by their high school counselors to attend Vandy Fan for a Day! Learn more about the college admissions and financial aid processes, tour campus at one of the peak times of year, and experience Vanderbilt life on game day. You, your parent or guardian, and a guest will also receive up to three free tickets to the game, so you can help us cheer on the Commodores. If you need to purchase additional tickets beyond the three tickets provided with your registration, you are welcome to contact the Ticket Office at (615) 322-4653 or visit the Commodore Tickets website. *Registered students will receive a detailed schedule via email. Please use the stadium exit behind the Marriott Hotel on Kensington Place. Continue walking to the right on Kensington Place. Turn right to 21st Avenue (you will see Qdoba Mexican Grill). Turn left to Terrace Place. Terrace Place Garage will be on your left (attached to the Baker Building behind Qdoba). Complimentary parking for Vandy Fan attendees is available at Terrace Place Parking Garage. Admissions staff will be available at the Terrace Place Parking Garage to assist you with parking and to guide you to Wilson Hall for program check-in. Take I-65 South to I-40 East, exit 209B. Turn right on Broadway. Stay in the right lane and it will turn into West End Avenue. Continue on West End to the traffic light at 21st Avenue. Turn left onto 21st Avenue South (a one-way street). Take the first left at Terrace Place. Go 1/2 block. The Terrace Place Parking Garage entrance will be on your immediate left. Admissions staff will be at the Terrace Place garage to assist you with parking. Take I-40 West to exit 209A. Turn left on Broadway. Stay in the right lane and it will turn into West End Avenue. Continue on West End to the traffic light at 21st Avenue. Turn left onto 21st Avenue South (a one-way street). Take the first left at Terrace Place. Go 1/2 block. The Terrace Place Parking Garage entrance will be on your immediate left. Admissions staff will be at the Terrace Place garage to assist you with parking. Take I-40 East to exit 209B. Turn right on Broadway (US 70S). Stay in the right lane and it will turn into West End Avenue. Continue on West End to the traffic light at 21st Avenue. Turn left onto 21st Avenue South (a one-way street). Take the first left at Terrace Place. Go 1/2 block. The Terrace Place Parking Garage entrance will be on your immediate left. Admissions staff will be at the Terrace Place garage to assist you with parking.